Do you feel you need a change, time to recover from all the challenges life throws at you at times. 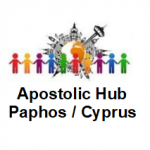 Come to Paphos and have time with us here at the Apostolic Hub in Cyprus. You can live with us, enjoy fellowship, have fun too, and receive training in various aspects of ministry so that you can be better equipped yourself and be able to equip others in your sphere of influence. Whatever place you find yourself in at present, there is always something more here for you. We welcome all those of you who hunger and thirst for more of God’s Presence and Grace in their lives. We are the Rapid Church Planting Training Hub here in Paphos, equipping and sending out Apostolic teams around the World and providing online training right in the comfort of your own home through webinars, teaching, interactive discussions prayer, and blogs. We will mobilize an Army of God’s people across the globe in Online Church and Prayer groups, so that each believer is built up and equipped and actively linked in with other like-minded people who want to see their lives fulfilled with vision and destiny in demonstrating and fulfilling the Luke 10 model verses 1-9 to Go and make disciples.